AIR CONDITIONER PREP FOR SUMMER:Shorts and flip-flops weather will be here soon, and when it hits, we’ll welcome that cold blast of air from our air conditioners. It’s a bummer when the air conditioner refuses to work during the year’s first heat wave, and it might take weeks to get an appointment with a repairman. Don’t let that happen to you. 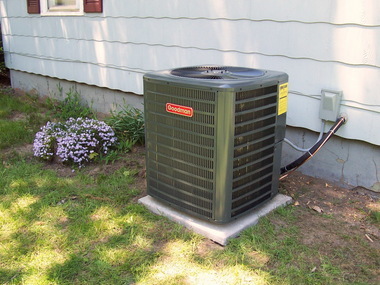 Perform some simple maintenance chores now to be sure your central air conditioner is in top condition. These tips come from Popular Mechanics andHome Tips. Clean or Replace the Filters: Do this twice a year, or whenever the filters appear to be clogged with dust. Dirty filters restrict the unit’s air flow, reduce efficiency and blow dust into the air you breathe, according to Home Tips. How do you keep your air conditional running efficiently? Share your best tips in the comments. Clear Debris: Exterior condensers need an unobstructed air flow. There should be at least 2 feet of clear space around the unit, so trim back vines, shrubs and tree branches, says Popular Mechanics. Clean the Fan: The air conditioner’s fan needs to be cleaned of last year’s leaves, pollen and other debris and dirt. Wash it with a garden hose. Check the Ductwork: Be sure there are no rugs or furniture blocking the air ducts; check to see if the kids have put anything inside the ductwork, says Popular Mechanics. If you find mold, call a duct-cleaning company for service. You also need to check is the ductwork that travels through your attic or basement. All of the connections and seams should be sealed. If you find holes, repair them with silver aluminum-foil tape, not duct tape.